The last month has been a fast-moving blur of cities, tournaments, formats, and decks. I played W/U Monument at #SCGCIN and then ran it back for #SCGATL the week after. 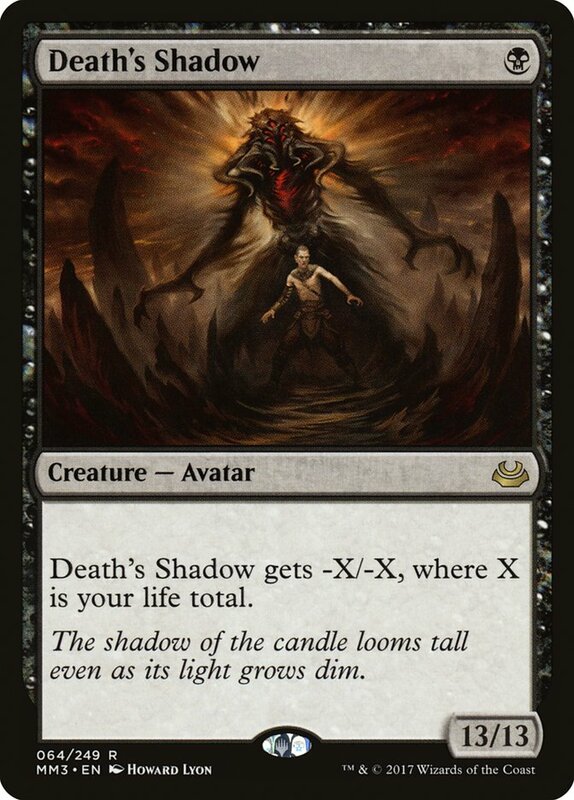 Two weeks later, I abandoned everything I held near and dear and picked up Grixis Death's Shadow for the #SCGNY Modern Open. When that didn't work out so well, I got the band back together and played G/B Aggro in the Standard Classic. 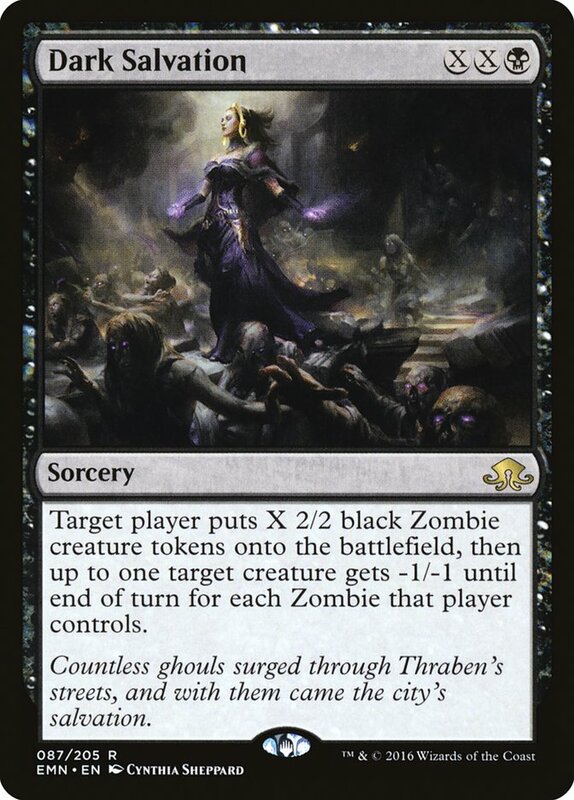 The very next week, I returned to my Abzan Traverse ways for #SCGRICH and, after some poor play kept me from Day 2, I picked up Mono-Black Zombies for the Classic. That's a lot of different decks. Five by my count, in fewer weeks. This last month has been an anomaly for me. Normally I stick with a deck and play it for a while, with the idea that the play skill I gain from being very familiar with an archetype outweighs the edge that could be garnered from considering minor metagame fluctuations. But in the interest of becoming a more well-rounded tournament Magic player, I decided to try a new approach on for size. And let me tell you, playing a new deck every tournament is hard. I had to flex thought-muscles I don't often use, and if the number of Classics I played in is any indication, I didn't flex them particularly well. But this isn't going to be an article about my noble attempt to grow as a Magic player; this is just the context that sparked me thinking about the concept I want to talk about today. Late in the #SCGRICH Standard Classic, I found myself playing against old-school B/G Energy with my undead squad. It was a little awkward that I would have been much more comfortable on the other side of the table, but c'est la vie. My opponent won the die roll, played Blooming Marsh, cast Attune with Aether, and followed that up with a Longtusk Cub on their second turn, which I promptly destroyed with a Fatal Push in their end step. And then on my second turn, my entire world fell apart. Why did I remove that Longtusk Cub? My thought process had been that I didn't have a profitable blocker for the Cub to deploy on my next turn, and I didn't want the Cub to grow out of control. But was that right? How much does Zombies actually care about a Longtusk Cub of unusual size? When you play one deck for a long time, threat assessment is something you build up as you play. You lose a bunch of games to a Longtusk Cub and start to respect it more. 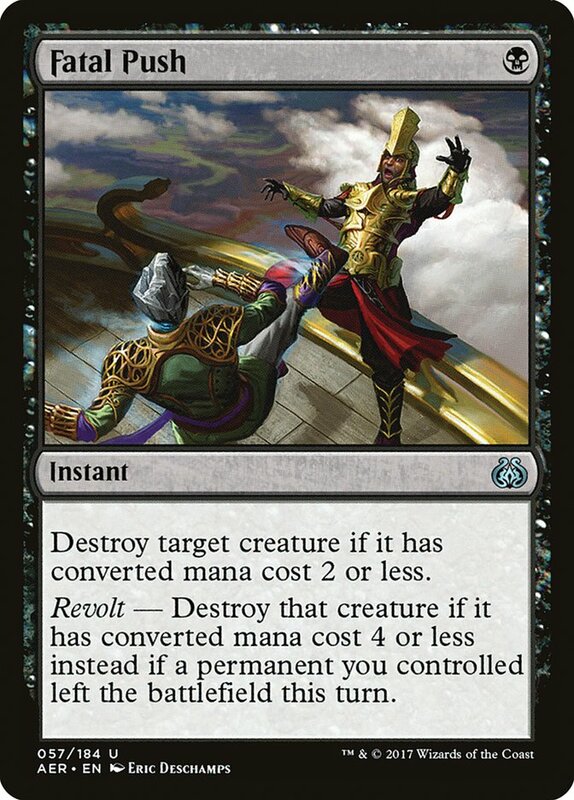 You stop saving your removal spells for Winding Constrictor and go ahead and deal with the two-drop they cast. You've learned that Longtusk Cub is a problem for your deck and you have adjusted appropriately. Or, alternatively, you started off removing every Longtusk Cub you saw and slowly realized that you care much more about Winding Constrictor, and that it's okay to take a few Cub hits if it means you have a Constrictor answer later in the game. But maybe that was knowledge gained from playing B/G Energy mirrors. Now you are piloting Zombies, and even though the terrain looks the same, the landscape is completely different. Threat assessment is often done through intuition. Thinking through a card's impact on the game over the course of the next few turns is not easy and depends significantly on several cards that haven't even been drawn yet. When you find yourself in a matchup you've played several times, you have a good idea of the different ways the game could go from the point a threat is deployed. You have a sense of how often and how much their threat matters. In many ways, the point of playtesting is to develop and refine that sense, that intuition. But development of your unconscious intuition through repetition takes time, and time is not always a plentiful resource. I have good news, however: the process can be sped up through conscious thought. Let's take a look at some of the factors we should be keeping in mind when trying to weigh how important a threat is. You Call That a Threat? You're playing the above W/U Monument list and have lost the die roll. Your opponent led with a Hissing Quagmire and then deployed a Longtusk Cub on the second turn. You didn't have a turn 1 play, but on your second turn you cast a Hanweir Militia Captain. They attack with their Cub into your Captain on the third turn. Given that you know they don't play any copies of Blossoming Defense, should you block? When presented with a threat that you have the opportunity to remove, the first question to ask yourself is simple: "Can I win the game if that threat never leaves the battlefield?" When the answer to that question is yes, you can still win, there's a very strong chance that you don't want to bother using your resources to deal with the nuisance. This is the situation W/U Monument finds itself in against Longtusk Cub. It is very easy for the Monument deck to win the game without ever actually answering the Cub. The plan is just to take a few hits from Longtusk Cub early and let it grow however big it gets as long as our life total stays reasonably healthy. Then, when the Cub has grown large enough to represent a significant portion of our life total, we switch gears and start chump blocking the Cub every turn. Most decks can't realistically plan to generate a chump blocker every turn. 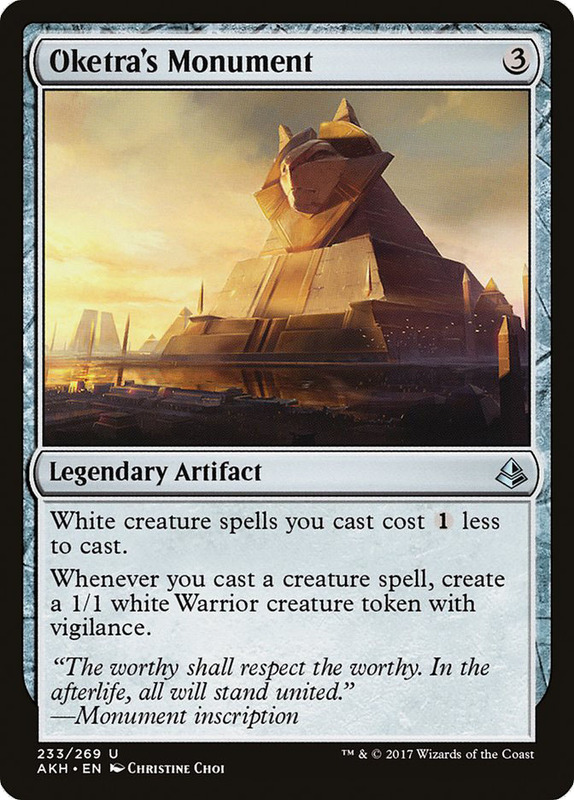 Thanks to the namesake card Oketra's Monument, W/U Monument can. A creature that only has power and toughness and no other effect on the game is simply not a problem for the Monument deck. So the core gameplan of the W/U Monument turns Longtusk Cub from a scary jaguar into a scared housecat. We only want to make that block in games where our draw looks fairly non-functional. Maybe we mulliganed to five and need to buy time, or maybe we kept a Spell Queller hand that looks like it might quickly die to a Longtusk Cub unless it finds an Oketra's Monument. Err towards not blocking; removing a creature that isn't typically a threat should be the exception, not the rule. Let's take a look at the other end of the spectrum. 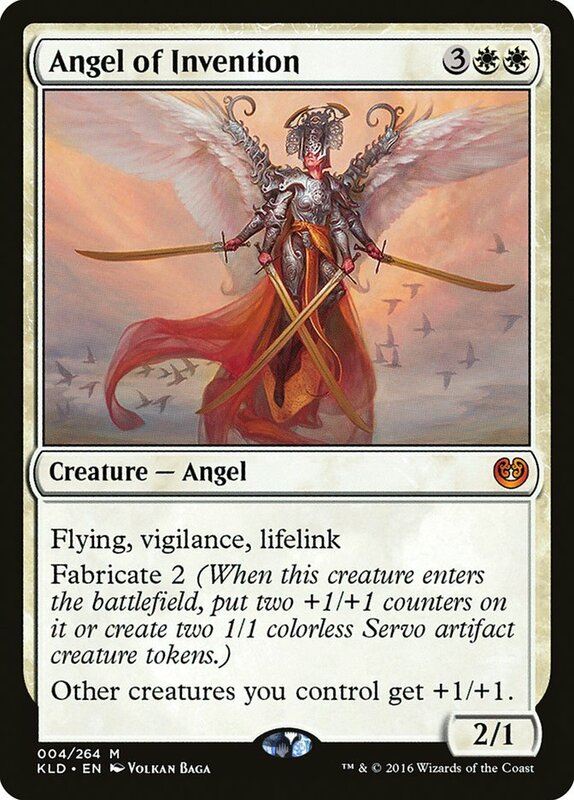 You're piloting the above U/R Control list and have won the die roll. 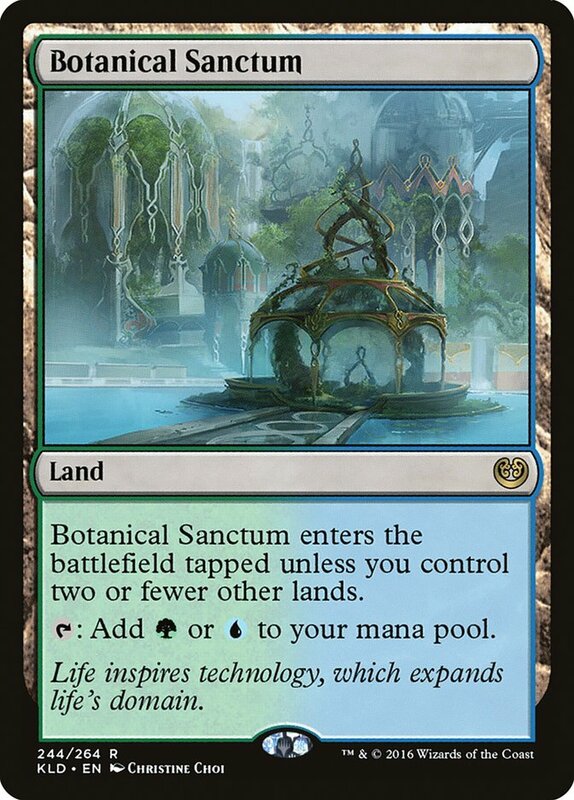 You spend your first two turns developing your manabase with a Wandering Fumarole and an Island, while your opponent Attune with Aethers for a Swamp and deploys a Longtusk Cub with two energy in the bank. 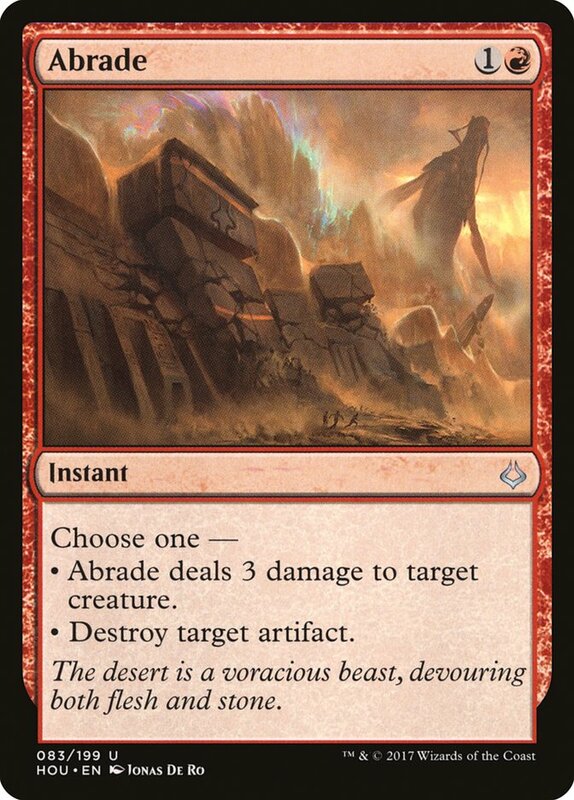 Should we cast Abrade at the end of their second turn? So, can we win the game if we never answer that Longtusk Cub? For U/R Control, the answer is no. A turn 2 Longtusk Cub threatens to grow very big very quickly, eliminating the possibility that we will be able to keep it in check by outsizing it with a defensive Torrential Gearhulk later in the game. So, unsurprisingly, the control deck is going to need to deal with an early creature. But it doesn't necessarily have to be right away. When presented with a threat that demands an answer, here's the next question to ask: "Is this the best way to remove that threat"? We know we need to kill that Longtusk Cub at some point; now we need to figure out when the best time to do that will be. The first consideration here is how the spells in our deck line up with the threat. Ideally, we answer early creatures with a sweeper in the mid-game before those creatures can deal too much damage. That won't work on Longtusk Cub, though, since that particular threat has the ability to grow out of range of our damage-based sweepers. Indeed, since most of our removal is damage-based and Longtusk Cub only gets bigger, removing it earlier rather than later makes a lot of sense. We should cast the Abrade. But what if they'd cast a Winding Constrictor and not a Longtusk Cub? The simple Snake is a much less urgent problem. 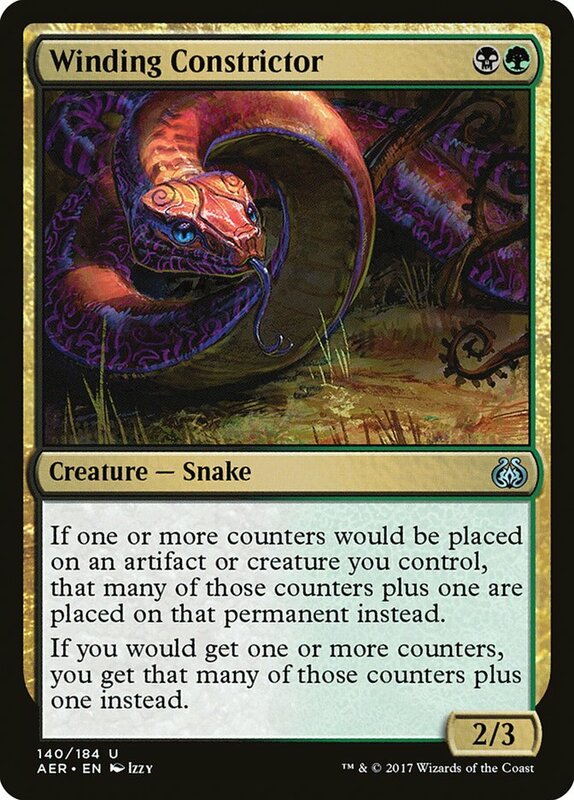 It still needs to die, as the synergy it threatens is quite formidable and we will eventually die to a 2/3 if left unchecked, but our spells aren't going to get worse against a Constrictor like they will against a Cub. We can easily plan to take a few points of damage in order to better sequence our spells to our advantage or eke some extra value out of the sweeper we intend to cast on turn 5. When you live the coward's life and everything's a threat, ensuring you save removal for their scariest card is rarely a concern. All of their cards are scary. With these decks, threat assessment means respecting everything and dealing with them in an order that lets you use your cards to best advantage. And here we are, at the very dilemma that sparked this article. After losing the die roll with Zombies, you have the option to Fatal Push their Longtusk Cub at the end of their second turn. If relevant, note that they have two energy from their first-turn Attune with Aether and have Blooming Marsh and Forest on the battlefield. Should we cast the Fatal Push? So, first question: can we win if the Longtusk Cub is never answered? Answer: maybe. Sometimes, Zombies can do a solid W/U Monument impression and go around a large Longtusk Cub. Diregraf Colossus goes a long ways towards enabling this, as do Dark Salvation and Liliana's Mastery. Relentless Dead alone can chump block the Longtusk Cub forever if necessary. Still, these are all resources that are harder to come by than Soldier tokens are for the W/U Monument deck, and using them in this manner is certainly more of an ask. So, we're not happy about having to win around it, but it's not impossible. Let's look at the next question: is this our best option for removing it? Since the card we're thinking about using is Fatal Push, we will have the chance to remove the Cub again in the future if we decide not to now. Longtusk Cub can easily outgrow Grasp of Darkness and will likely outsize Dark Salvation if things get really out of hand, but Fatal Push will always reliably answer it. 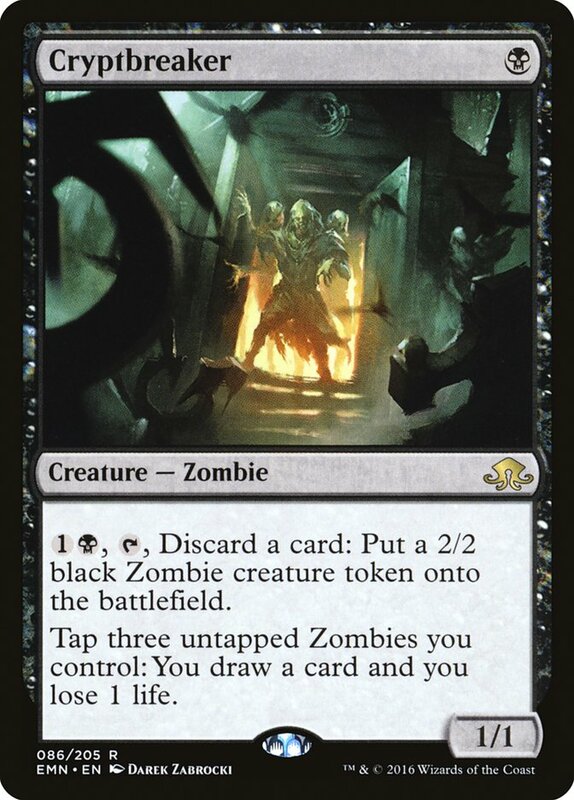 If we decide to remove the Cub and all other things are equal, we'd use a Grasp of Darkness and not the Push, as Grasp is our worst removal spell against B/G Energy due to how easily it can get outsized. But all other things aren't equal. We have the Push now and the ability to cast it with mana that would otherwise be wasted. How important that is depends a lot on the texture of our hand. If we are looking to curve out on both turns 2 and 3, the Cub will be bigger than Grasp by the time we want to use it. So it's not our best option, but it might be our only one. However, we won't be punished (aside from taking a bit of damage) if we wait. What's next? Now we start thinking about threat prioritization. Yeah, Longtusk Cub can be a problem, but we know it's not necessarily an insurmountable problem. Does B/G Energy have any insurmountable problems to present us with? Yes, yes, it does. 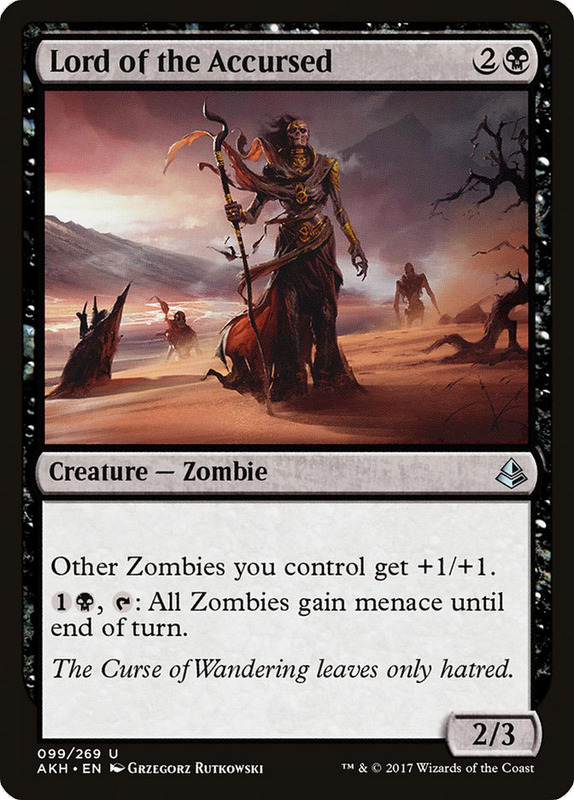 Zombies might have the synergy edge on B/G Energy, but that doesn't mean B/G's synergy game isn't threatening. 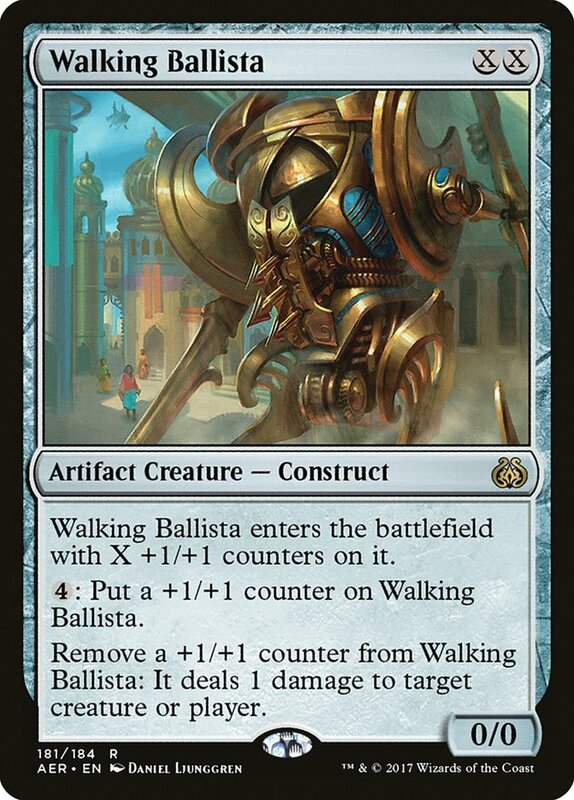 Left unchecked, Winding Constrictor in combination with Walking Ballista can take over the game. Sometimes a Verdurous Gearhulk is even involved. Yikes. Disrupting these synergies with removal is critically important. 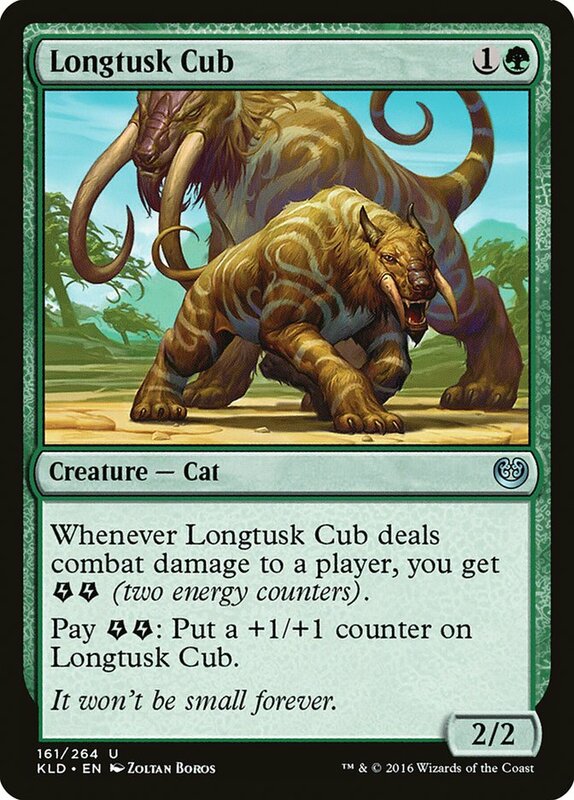 Longtusk Cub is a problem our synergies and creatures can solve sometimes. Winding Constrictor and Walking Ballista form a problem our creatures might be able to race if we're lucky, but will never be able to outright answer. So no, I don't think we should cast the Fatal Push. The Longtusk Cub might be the least of our worries, and is not in and of itself the end of our world. Can we win through it? Is this the best way we possess to deal with this threat? Is there anything they have that scares us much more than this threat? And then we have a fourth question that runs through all of them, one which permeated much of our Zombies example: will we have this opportunity again? Playtesting answers these questions for us, sears the answers into our bones. Eventually, we see a Longtusk Cub and we instantly know exactly how much to respect it. And then we change decks, and our instincts are off. That's why these questions are important. Sure, on some level they are fairly basic. But if you're not consciously asking yourself these questions when you change decks, you will find yourself relying on errant intuition. You'll block with Hanweir Militia Captain because of the fear Longtusk Cub instilled in you as a U/R Control player. You'll decline to Abrade a Cub on turn 2 because you know they have more important threats and end up dying to that Cub with a useless Abrade in your hand. Or maybe you don't change decks. Maybe they do. When Temur Energy casts a turn 2 Longtusk Cub after Attune-ing on turn 1, what changes? 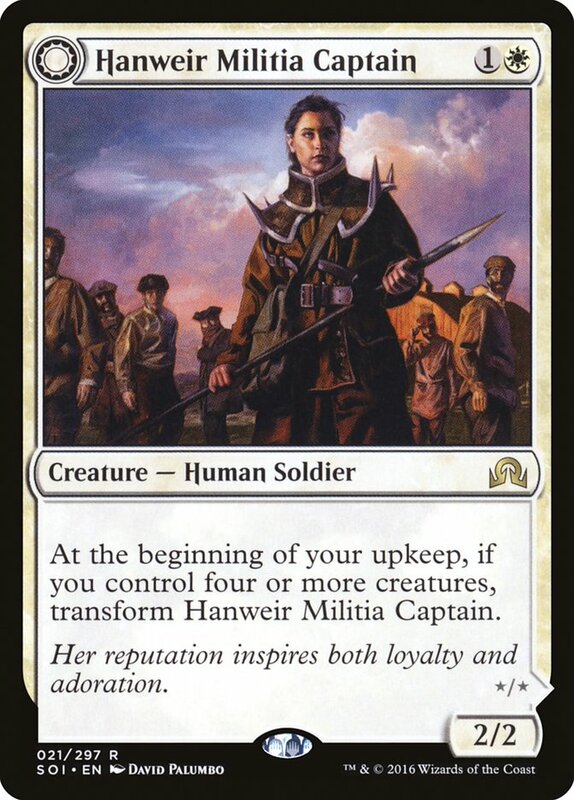 Does W/U Monument want to trade their Hanweir Militia Captain in this scenario? Should Zombies Fatal Push? It's worth quickly running through the list of questions in your head to avoid the risk that your instincts are primed for a different scenario from the one you find yourself in. The threat may be static, but context is ever dynamic. After all, you'd be much more scared of a lion you found wild on the Serengeti Plains than one you paid money to go see at a zoo, right? And for the record, the answers to those last four questions are "everything," "yes," "yes," and "yes," in that order.